Yeah, it's THAT one you've seen all over the internet and it really is as good as you'd hope. Located on the Big Island of Hawaii, near the Kahaualea National Area Reserve, it's pretty remote (so rent a car) and exceptionally beautiful. Honestly, we don't want to spoil anything for you so click thru and get transported. This one's a dream. No one has ever said Alaska was easy, but it sure is worth it. These cabins are in Seward, off-grid with no electricity or cell service, but they do come with a hand pump well, propane lights, a wood stove, and a sauna. The property is 15 acres (lake front) and while there are four total cabins on the land, it's pretty remote, cozy, and quite secluded. 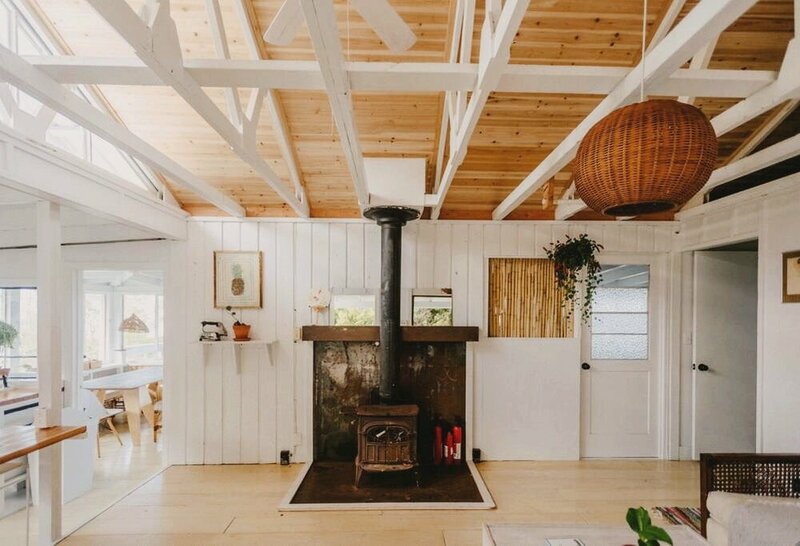 Located on the south east shore of the Big Island, this off-grid cedar cabin is minutes from black sand beaches, thermally heated swimming pools, and the tide pools of the Puna Coast. This place really is paradise, from the hammocks to the views, the decks and the forest, it'll be a surprise if you ever leave. Not far from Seward, on Humpy Cove in Resurrection Bay, these yurts are run by long-time Alaskans, are eco-friendly (solar powered), and surrounded by truly stunning scenery. Equipped with everything you need, you're near to every activity you could have come to Alaska for: fishing, kayaking, whale watching, swimming, etc. As a humble coffee shack style house on an organic farm on the Big Island, this is a balmy tropical retreat with an airy layout, lots of wildlife, and plenty of flora and fauna to keep you smiling. Gorge on tropical fruit as you take in panoramic ocean views and just enjoy the spirit of Aloha. Being out among nature, stunned by the sheer magnificence of this state, is what Alaska is all about. There's no way to capture what the northern lights are like or how perfect a wood fired hot tub can be, but you can likely guess. 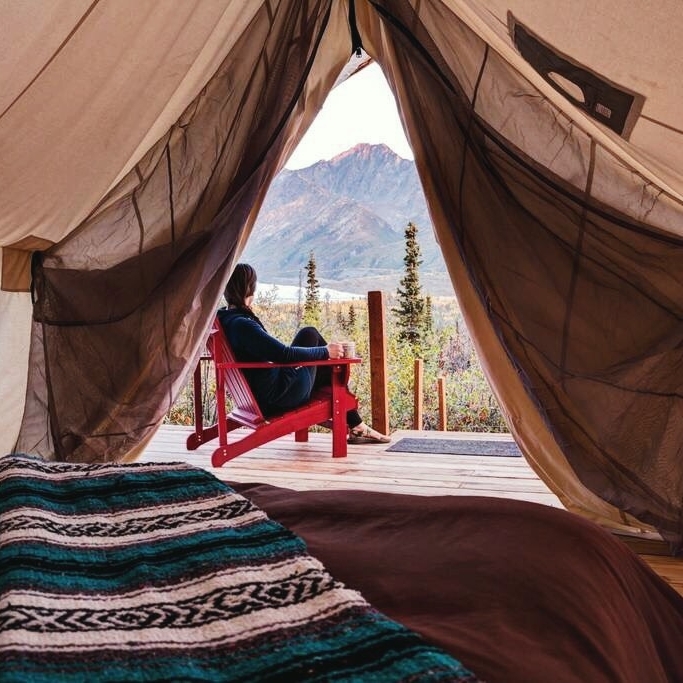 This camp site features a canvas tent, a beautiful outdoor eating area, and is run by a local guide who lives seasonally in the Glacier View area. It's a knockout.